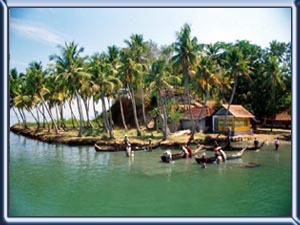 "Kerala - "God's Own Country" The complex network of lagoons, lakes, rivers and canals fringing the coast of Kerala forms the basis of a distinct regional lifestyle, and travelling by Houseboat along these backwaters is one of the highlights of a visit to the state. "The backwaters refer to the large inland lakes of Kerala. Today these backwaters act as vital water ways for the transport of people and produce. They are often the only link between remote, isolated villages and crowded town pockets. 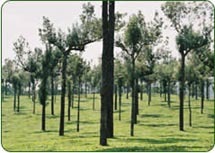 Our Kerala tourism section highlights the history, culture, cuisine, wildlife, hill stations and eco tourism of Kerala. It showcases the best aspects of Kerala tourism so you can know more about the tourist attractions of Kerala and enjoy Kerala tours with Kerala Backwater. Accommodation in the above mentioned hotels/houseboat or similar on twin sharing basis with one double room for two persons. All transfers and sightseeing by 01 A/C Tata Indica Car including fuel charges, driver's bhatta, toll and parking. After breakfast proceed to Kumarakom. Check-in at the houseboat which will take you to enjoy the magic of Kumarakom by going on a Houseboat (Kettuvallam) cruise across the backwaters. Spend the next 21 hours in your floating villa. Enjoy the backwaters of Kerala by getting a glimpse of the village life at close quarters; a unique and unforgettable experience. (check in time 12.30 PM - A/C will be operating from 9.00 PM to 6.00 AM) Enjoy the sunset & stay overnight on the house boat. Breakfast, lunch and dinner included.